Mother's Day is the one time of the year when you can tell your mom just how much you love her. 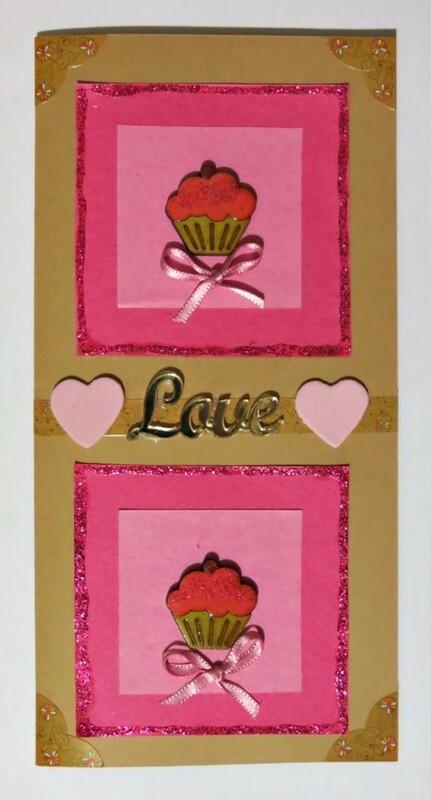 Use different hues of pink and make this card to show her that she is sweeter than cupcakes. Your mom will definitely feel spoiled when she receives this card! a. 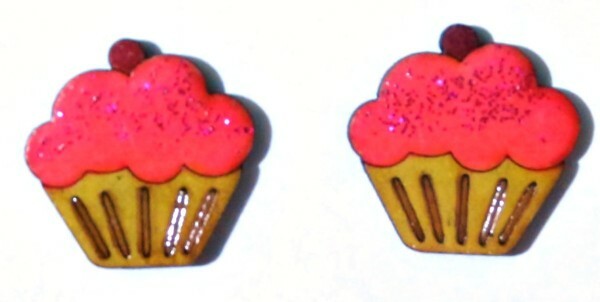 Use the yellow and brown pens to color the cupcake holder. b. Color the cupcake with the pink pen. c. Use the purple pen for the cherry on the cupcake. d. Add a dash of glitter glue to the cupcakes and allow to dry thoroughly. e. Cover the cupcakes with a thin layer of Dimensional Magic and allow to dry for at least two hours. Score the caramel cardstock to create a card sized 8" x 4". 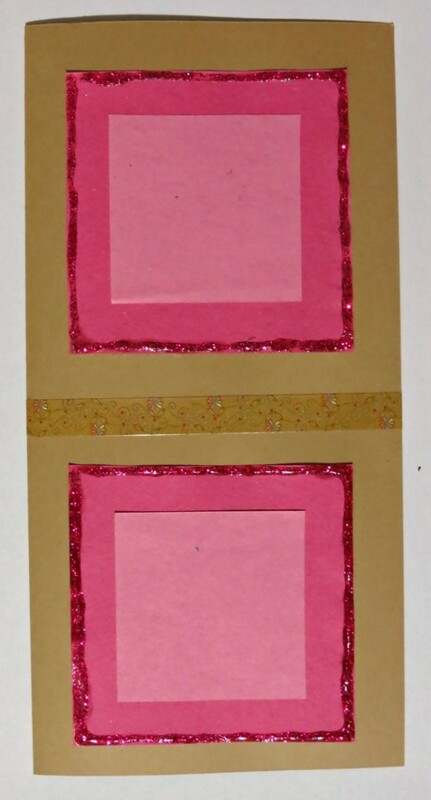 "Frame" the dark pink sugar paper squares with glitter glue and allow to dry thoroughly. 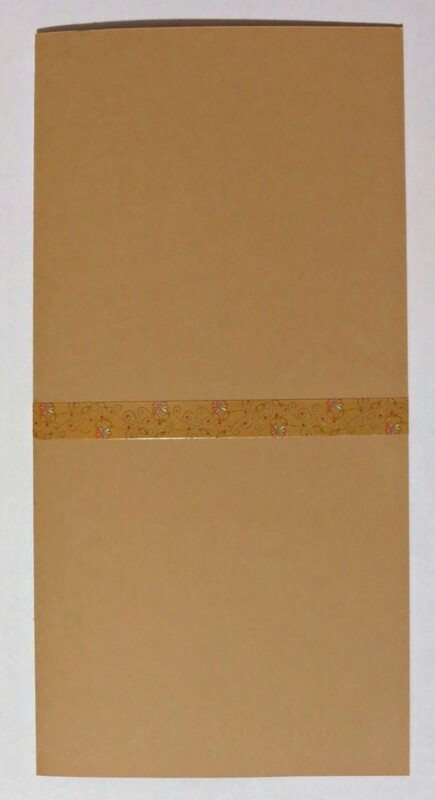 With the fold at the left, glue the Washi tape across the centre of the card and cut off any protruding edges. Glue the two dark pink sugar paper squares in place. 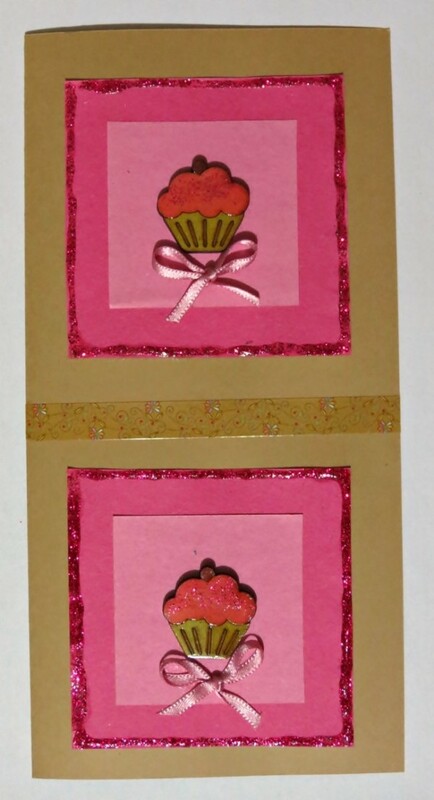 Add a light pink sugar paper square to each dark pink square. Make two small bows with the ribbon and glue a bow beneath each cupcake. Glue the word "Love" and the two hearts in place. Add a photo corner to each corner of the card and voila! You are done!